Windsor Life Insurance Company is a Texas-based life, property, and casualty insurer originally established in 1984. It is part of a larger group of companies owned by Québec-based Optimum Group. This company should not be confused with two British companies bearing similar names. The one British company offers several different life insurance products while the other one deals in private pension funds in the UK. Windsor Life in Texas is a completely separate entity. Your search for affordable health insurance rates gets underway as soon as you enter your ZIP code into our free search tool below. Since Windsor Life Insurance Company does not maintain its own website or identity, we were forced to glean what we could from the site of the company’s parent. 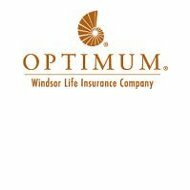 To that end, Optimum Group provides but one small paragraph on its website dedicated to discussing Windsor Life. For this reason, much of the information that follows is speculation based on the limited information from Optimum Group. We assume all our statements to be true. Nonetheless, you should always verify information by speaking with company representatives directly. According to the Optimum Group website, the company only sells life insurance products in the United States and France. Their property and casualty insurance is available in Canada, while their actuarial services and asset management are offered in various other places around the world. Armed with that knowledge we can safely say that it is unlikely Windsor Life deals in any sort of primary health insurance at the consumer level. If they do, it’s most likely in the area of supplemental policies designed to fill in the holes left by primary insurance or Medicare/Medicaid. Although this arrangement may sound unusual, it’s actually common among international financial groups dealing with insurance. Because insurance needs to be licensed in every country, according to different standards, large companies like Optimum Group will pursue opportunities in various countries based on the restrictiveness of an individual country’s laws. Selectively offering products this way allows them to maximize their profit by keeping regulatory issues at a minimum. Because Windsor deals exclusively in life insurance, their claims process will be straightforward. When the need arises to file a claim the policyholder or authorized representative can contact the company using the toll-free number supplied on policy documents. You can also contact them using the phone number we listed above or by sending an e-mail online. The individuals filing a claim would fill out the proper paperwork, supply a copy of the death certificate, and include any other information the company needs for verification purposes. If a life insurance policy were an annuity, claims made against it would be done completely differently. Since annuities are more investments than they are insurance policies, you may be restricted in terms of the amount of money you can withdraw from them without incurring penalties of some sort. In addition, since annuities are structured to fit the individual needs of the customer, your policy may operate differently than someone else’s. This is a case where you’ll need to deal with your agent directly in order to maximize your annuity. Optimum Group currently has a large number of open positions available for career-minded individuals. Their corporate website contains a careers link, which can be followed to get the process started. The main page of this section lists current job openings according to division. Interested candidates can click on the appropriate links to see job descriptions, locations, candidate requirements, and instructions for submitting a resume. It is assumed that this section of the website is kept up to date. Now is the time for you to start searching for health insurance rates online – you can do so by entering your zip code into the box below.